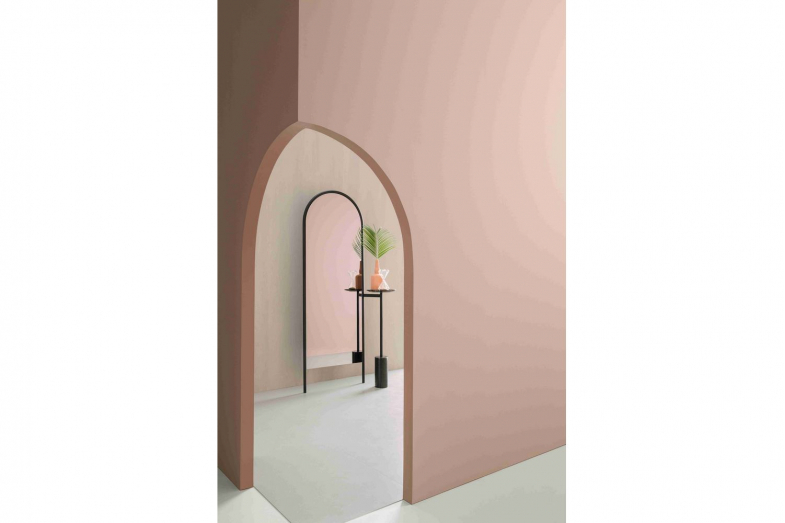 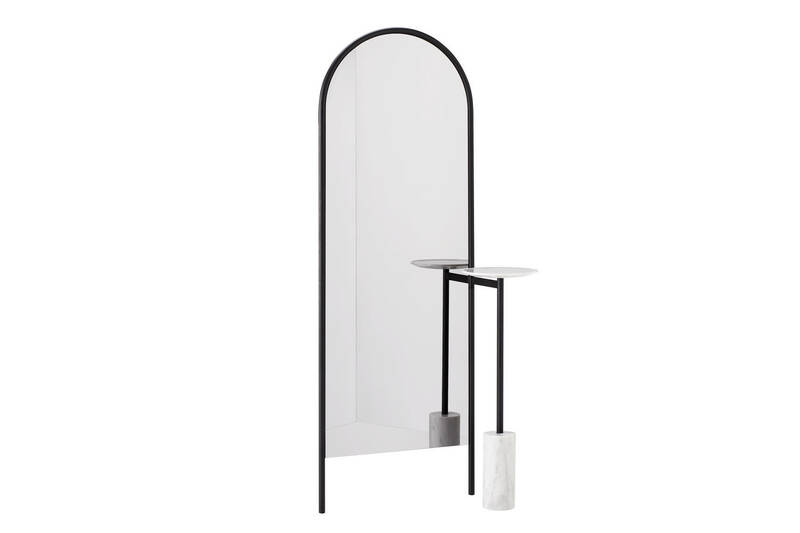 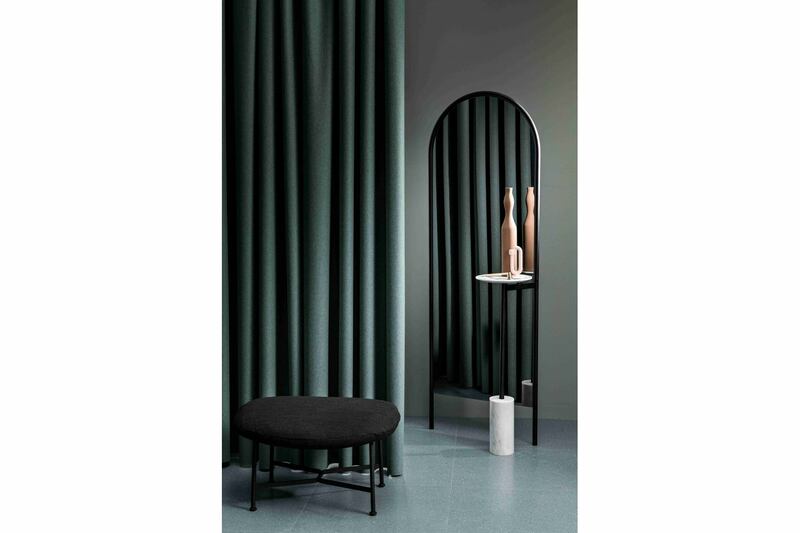 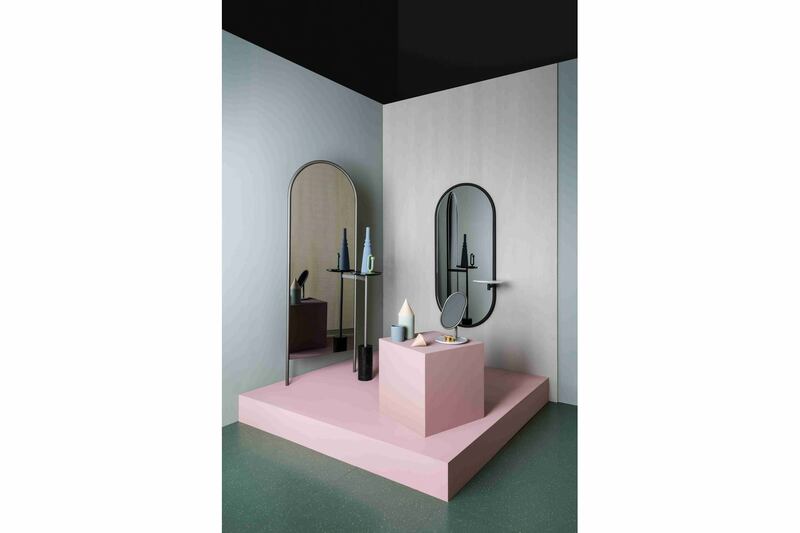 A family of mirrors with common features of steel, smoked mirror and marble, Michelle is gracefully drawn from a tubular frame in brass, pewter or blackened steel and embellished with a series of marble trays that make it the perfect valet. Family of mirrors in smoked finish with a frame constructed from formed steel tube and feature service elements in marble. 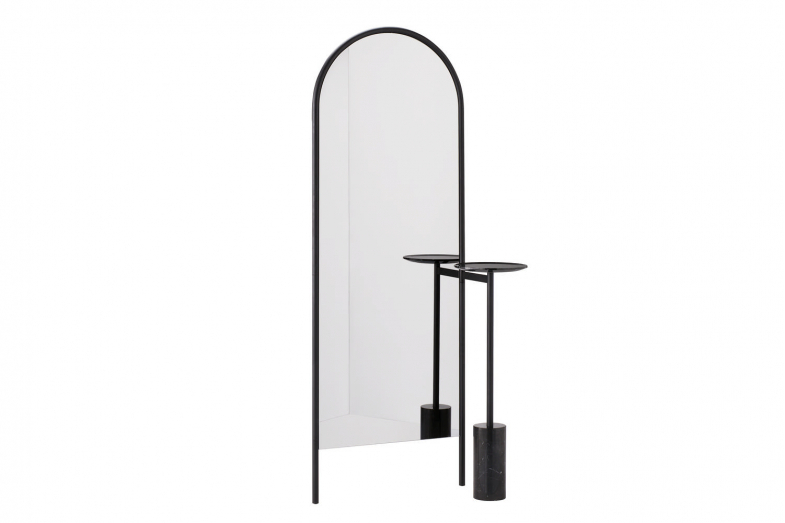 Frame available in powder coated satin black or with a metallic lacquered brass or pewter finish.